African Elephants are the largest land animals on earth. Slightly larger than their Asian family member their most obvious identification difference is their larger ears that look somewhat like the continent of Africa. Asian elephants have smaller, rounded ears. Both male and female African elephants have tusks they use to dig for food and water and strip bark from trees. Males use the tusks to battle one another, but the ivory has attracted violence of a far more dangerous sort. The elephant’s tusks are extremely elongated, continuously growing upper incisors (similar to a human’s front teeth), used for digging, tearing and fighting. Often, an elephant will use one tusk a lot more than the other - just like a left or right-handed person. 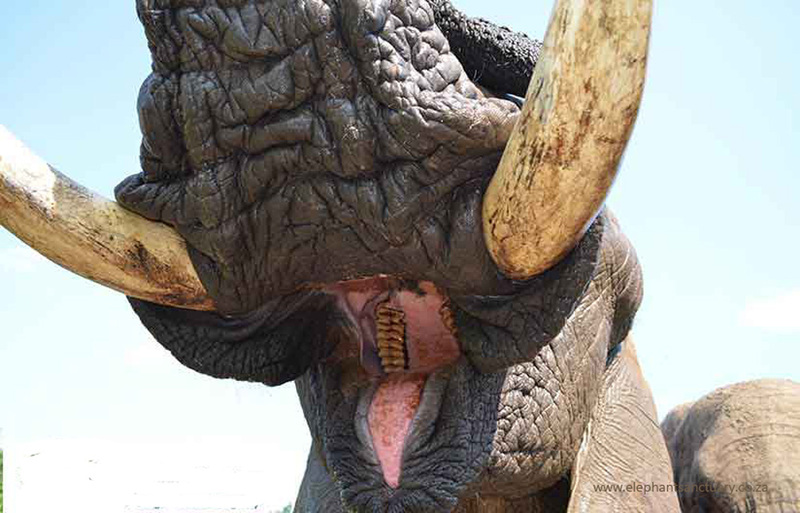 Elephants have a total of 24 molar teeth during their lifetime, which grows from the back of the jaw and then slowly moves forward as the teeth in front wear and break down. An elephant’s life is limited by its teeth because once the last molar has worn out it will be unable to chew its food properly and die of starvation. Their huge ears, which are about one-sixth of the size of their entire bodies regulate body temperature. The ears cool down warm blood by filtering it through the network of tiny blood vessels found in the wide, thin surface area of the outer ear tissue. Cooler blood then circulates to the rest of the body. Ears are also used for signalling. 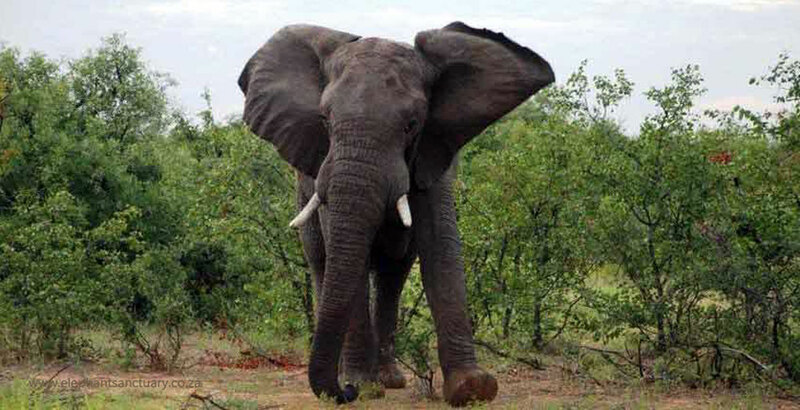 When an elephant feels threatened, it will spread its ears out to the side of its head, increasing its frontal area and creating a large and pretty intimidating-looking creature. An African elephants’ ears radiate heat to help keep these large animals cool, but sometimes the African heat is too much. Being fond of water then comes in handy! 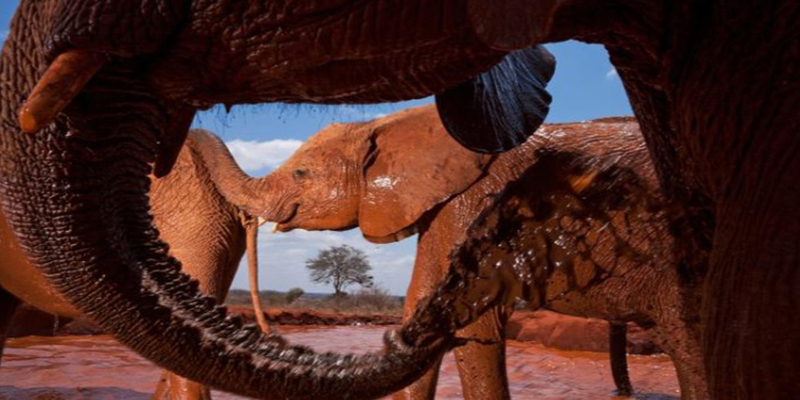 Elephants enjoy showering by sucking water into their trunks and spraying it all over themselves. Afterwards, they often spray their skin with a protective coating of dust. 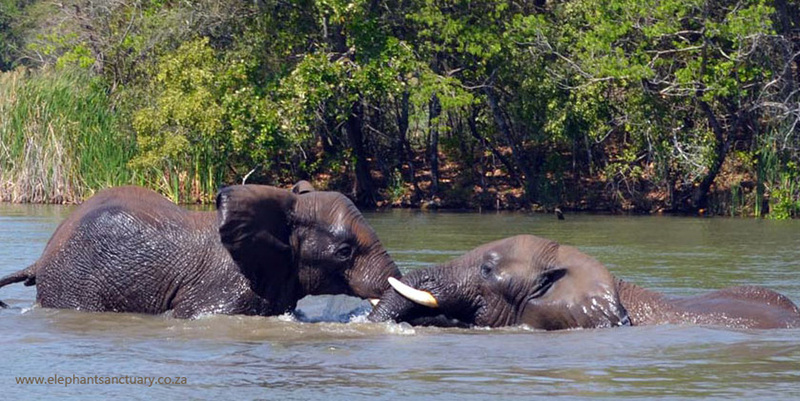 African elephants’ skin is extremely sensitive. They will protect themselves from the sun and pests by wallowing in mud or flinging sand over their bodies, which will change their apparent colour from greyish black to the colour of the soil around them. Like bird bones, the elephant’s skull has lots of tiny air pockets (a honeycomb of air cavities inside the bones ) to keep it light (this is relative ! The average skull of an adult elephant weighs around 52 kilograms) this, plus particularly large neck muscles, allows them to eat and drink without struggling with an extremely heavy head. 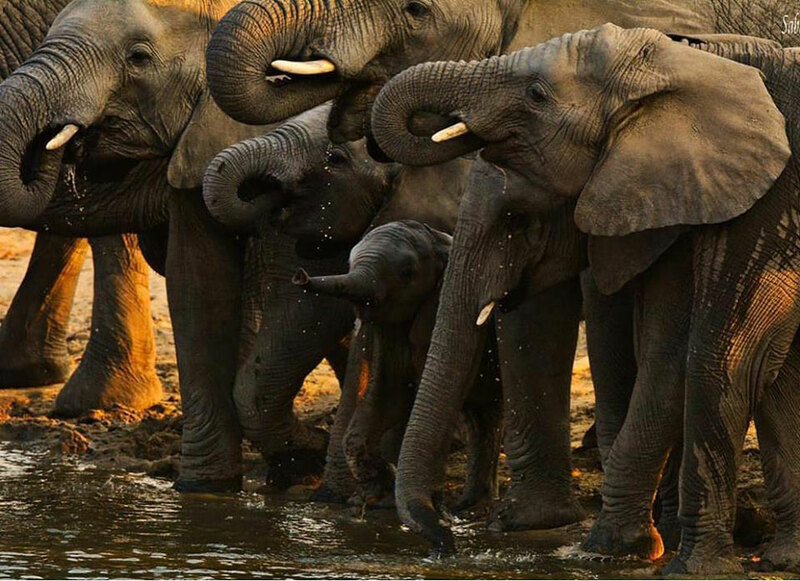 Elephants hear low frequencies (infrasounds) transmitted through the ground and conducted to their skull and inner ears through the bones of their front legs. These sounds are amplified by resonating in these inner bone chambers. 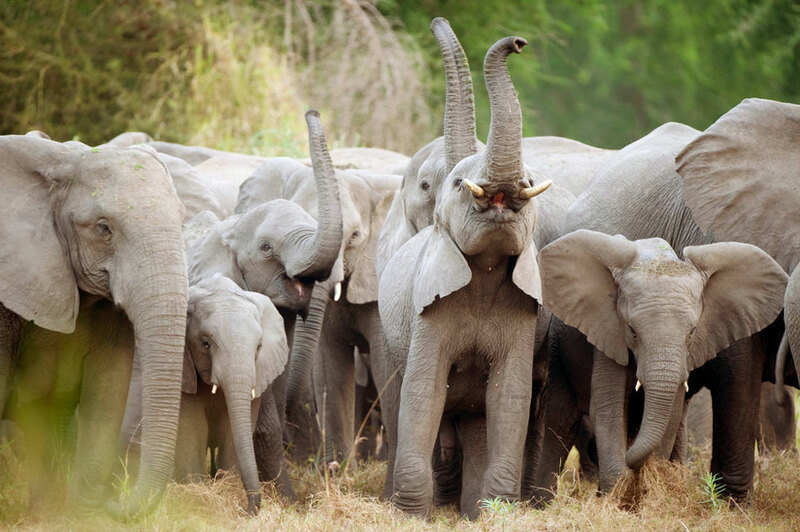 Because of the way their feet are formed, African elephants essentially walk on tiptoe. Their body weight is evenly distributed across the fatty connective tissue at the heel. This tissue acts as a ‘shock absorber’ and allows the elephant to move silently. Elephants have the longest pregnancy over any other mammal – an astonishing 22 months (more than double that of a human, which is usually nine months). Baby elephants weigh up to 200 pounds at birth. Elephants eat roots, grasses, fruit, and bark, and they eat a lot of these things. An adult elephant can consume up to 300 pounds (140 kilograms) of food in a single day. Having a baby elephant is a serious commitment. Elephants have a longer pregnancy than any other mammal—almost 22 months. Cows usually give birth to one calf every two to four years. At birth, elephants already weigh some 200 pounds (90 kilograms) and stand about 3 feet tall.